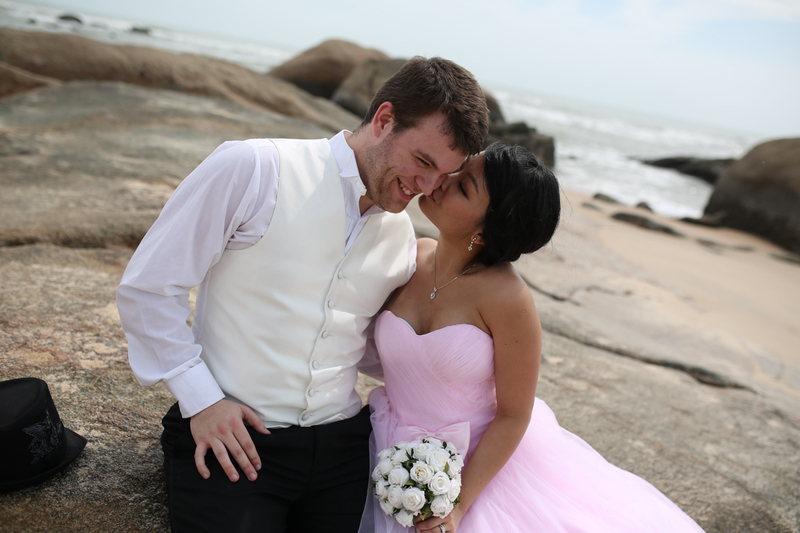 On December 21st, Hang and I got married in Vietnam, which was technically our second wedding. Our first wedding took place September 1, 2013 in Bay City Michigan, and it was beautiful. This wedding was different in many ways, and one way has to do with how Vietnam wedding photos are done. At least, some of them. We’ve been presented with RAW images from our photo-shoot, and as requested, have narrowed it down to our favorite 30 photos to be edited and placed in a hard-paged book for ourselves. We also get an additional photo to select to be printed, so it’s actually 31 images! The first image we’d like to show you is above, which is the one we’ve chosen to have printed and framed for our home. The images are great, but they’ll take time to edit. Featured in this gallery are the RAW images from our photo-shoot, which was done by Lê Đăng Thiện, of Ồ Production, who did an excellent job with us on December 25, 2013 when we got these taken. I’m anticipating great things from the finished photos later on, but until then, enjoy this gallery of our favorites. To get started, just click the navigation buttons below the description of each photos. We’ve decided to tell a short story for each photo, and have included each story under each image. You don’t have to read them if you don’t want to, but some of them are probably pretty cute or whatever. So, if you’re ready to see them, just click or tap to get started. As always, you can click the images to see them larger. Previous story The Thing Most Likely To Kill Off the Human Race: Having Babies? I love this one. It's fun! I absolutely love the photos chosen. It's very difficult to pick favorites. The look of love, tenderness, and joy truly show on your faces. Love you guys. And Hang, you look beautiful as well.